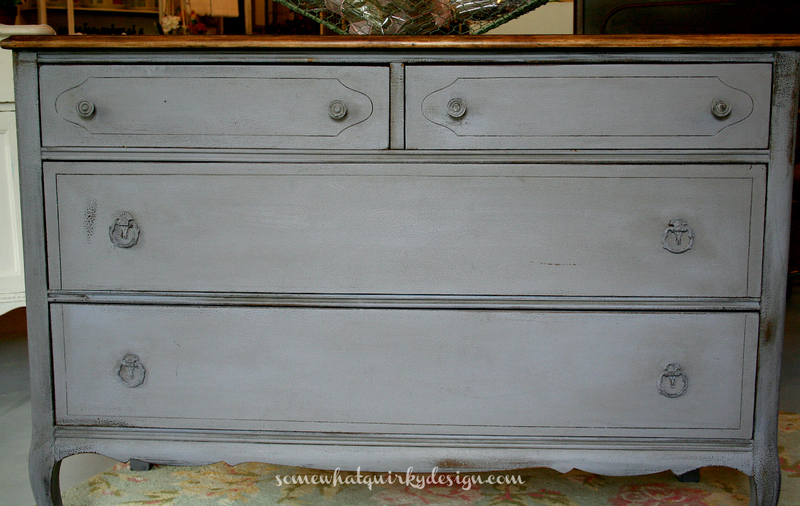 A couple of months ago I painted a dresser with Miss Mustard Seed Dried Lavender Milk Paint. I turned out beautifully. BUT - it was a huge challenge. Nothing worked like it was supposed to. I missed that Dried Lavender dresser. So I decided to paint another one. If you're looking for a before picture, well, I don't have one. But you've seen this dresser hundreds of times before. It probably had a mirror at one time. 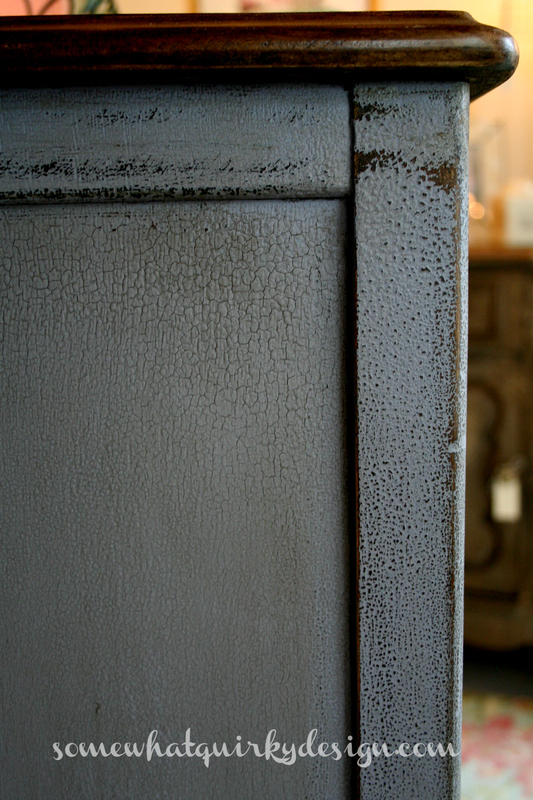 The finishing lacquer was bubbled like alligator skin all over so I thought that would look great with Miss Mustard Seed Milk Paint. 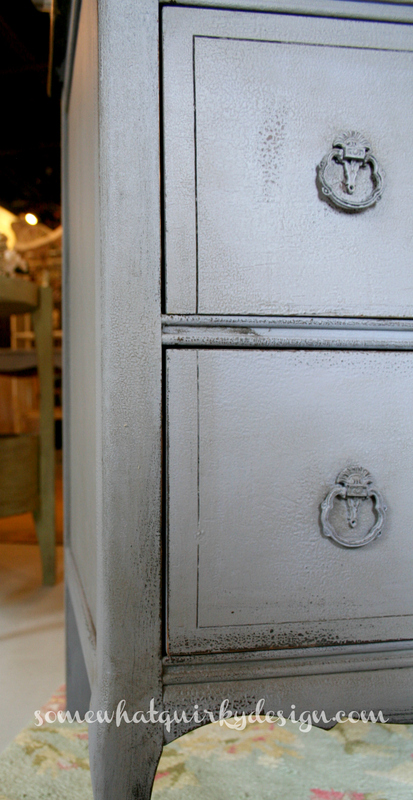 I also thought that the lacquer finish would resist the milk paint and give me some amazing chippy goodness. I had to be very careful not to sand it too much, so it wouldn't be polka dotted. Because that wasn't the plan. To have a polka dot dresser. I think my favorite part is the top. I stripped and sanded it to fresh wood. 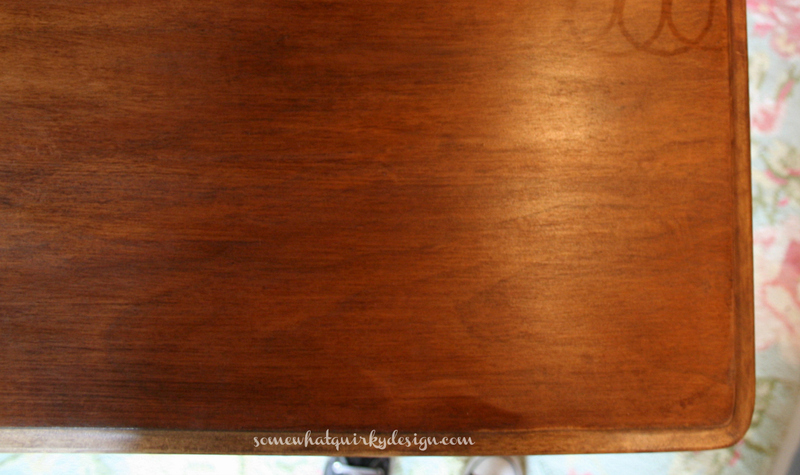 Then I applied 2 coats of Liberon Black Bison Paste Wax, in Walnut. 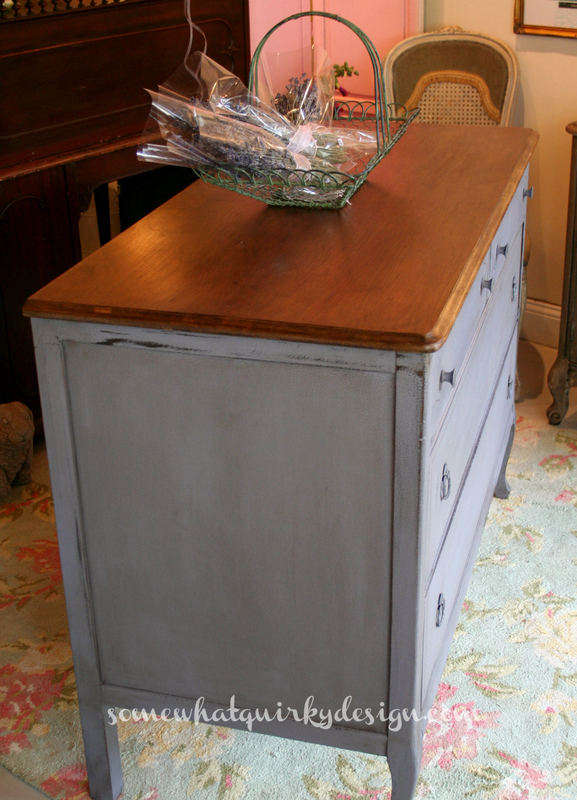 The stain in the wax stains the wood beautifully and Liberon waxes have the most beautiful soft luster to them. Dried Lavender is the most gorgeous color. Oh, and I used hemp oil over the paint. 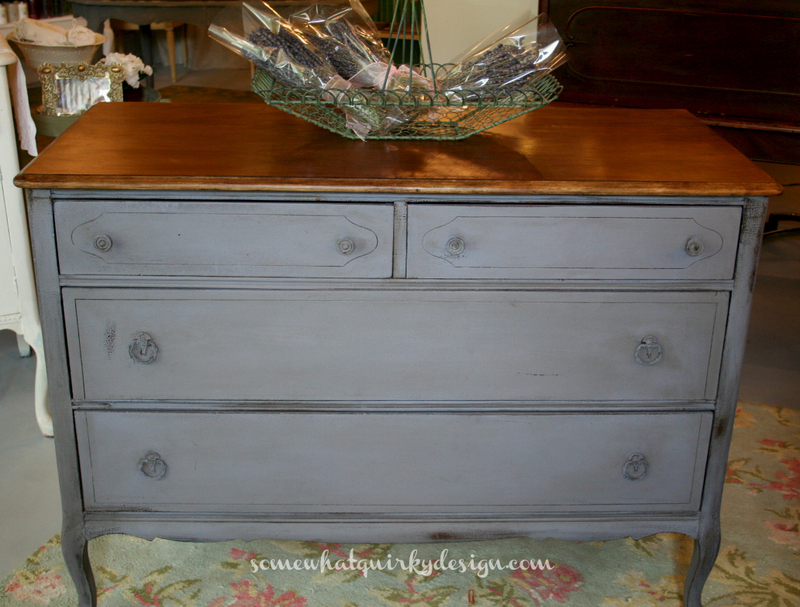 Then I waxed every inch with Miss Mustard Seed Antiquing Wax. 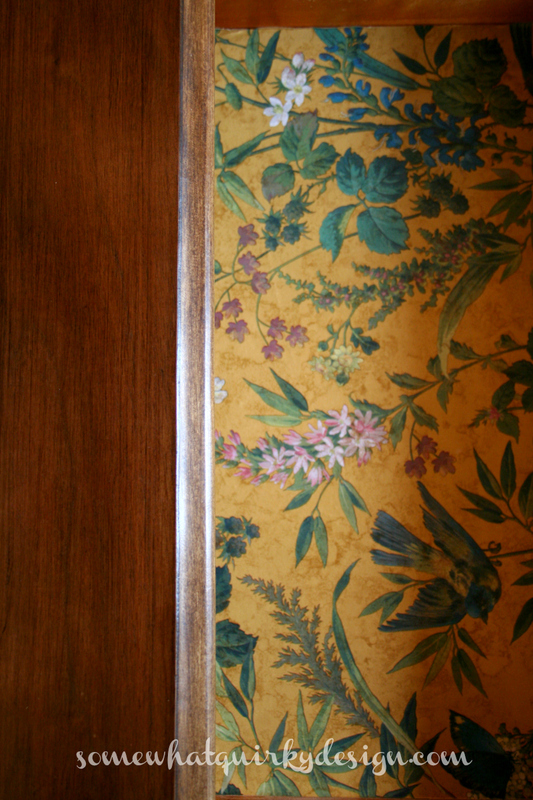 The drawers are lined with vintage wall paper. It looks beautiful with the top and the Dried Lavender. I think everyone needs a little Dried Lavender in their life. 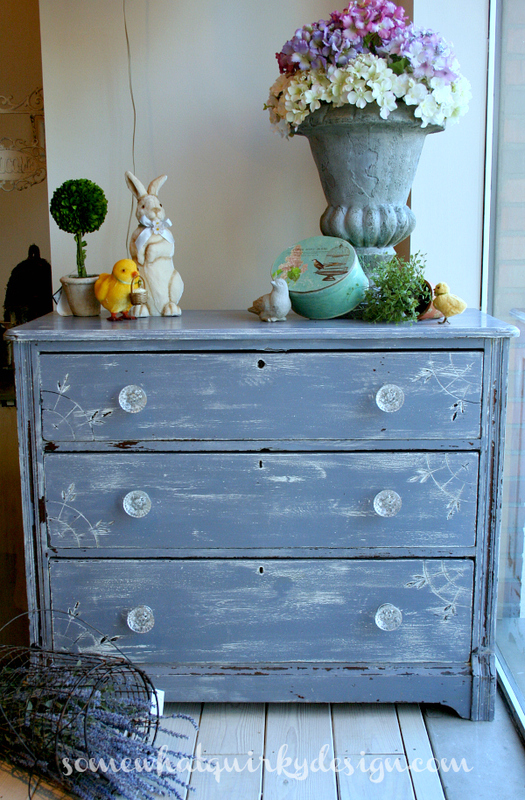 And if you want, you can buy this dresser at Vera's Daughter Home. Love the color! That alligatoring is fabulous too! Hey Karen-- like the dresser. It looks so pretty. love all the little details...great job. Okay... this is absolutely stunning in dried Lavender!!! The very next thing I do will be in this color for sure!!! I love it!! Well done!! I looove MMS products! Maybe it didn't chip as much as you wanted but the finish looks so good and that colour is gorgeous, great job Karen. I'm in need of some dried lavender in my life! How gorgeous! That is just gorgeous Karen! 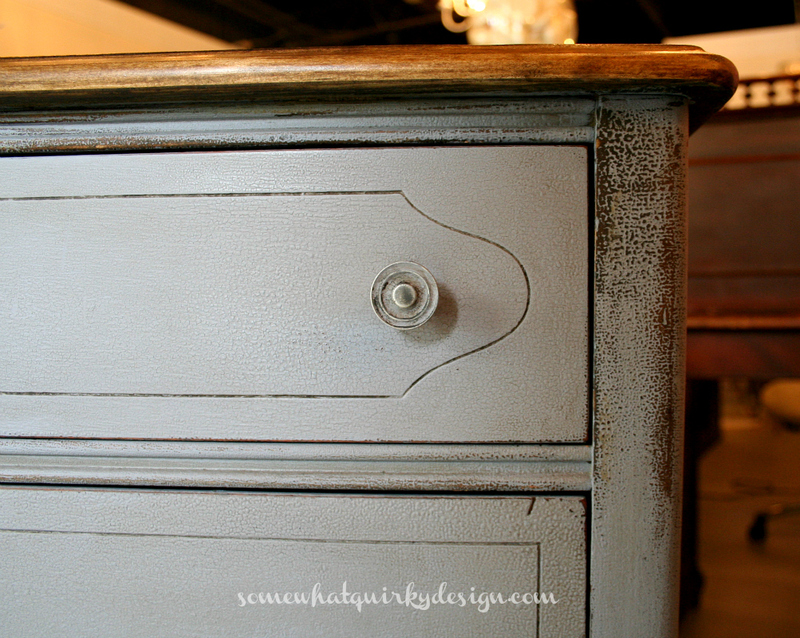 I've been thinking of you this week as I finally am working on some furniture painting. It's a slow go, but at least now I have a garage to paint in! Looks beautiful. 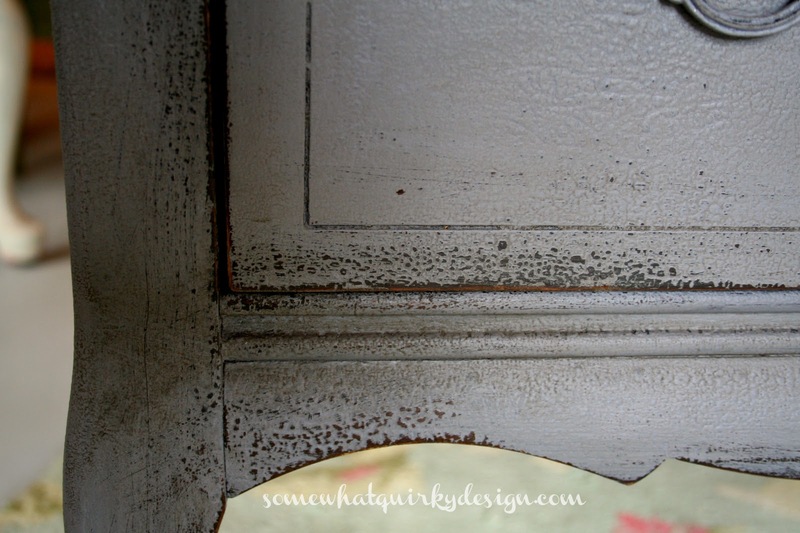 Love the touch of vintage wallpaper!! I just LOVE it! I have some dried lavender that I haven't tried yet...mainly because I am so in love with Eulalie's Sky. I like the rough spots on this, and also the wood top. Tell me more about the hemp oil. This is beautiful, Karen. I love the way the finish turned out. This won't be there long! It looks great! I love the top too! pinning!